I consider myself as a “young” mother. Obviously, that description is not based on my age but on my short but sweet 4-year parenting experience. Some will say say that I still have a lot to go through and experience as a mother. I definitely agree. In all the stages that I’ve gone through, from the newborn, toddler and now preschooler phase, I feel that I’m always in a nangaganay mode. It’s just like being a first-time mom all over again. Every stage in my parenting life is different and unique. In every milestone that we experience, new joys, questions and fear would arise. We will never forget that first latch, step, word, bukol, tantrum, book, song and so on. There will always be new and greater challenges in every step of our parenting life. Looking after an infant is entirely different from taking care of a super curious 4-year old boy. In every stage that we’ve gone through, I am always grateful for the whole village that helped us to raise our child. Thank you to our families and friends who continue to support, guide and affirm us as we work on our parenting goals. We consider 2015 as a very crucial year in our homeschooling journey. We are firm in our decision to homeschool our child during the preschool years but are still uncertain about our next steps. If this should be our last year of homeschooling, then it should be the best! On the other hand, this year could also lead us into taking that one big step of continuing our homeschooling journey. The best thing in going through this crucial phase is having the warm support of the different homeschooling communities in the Philippines. 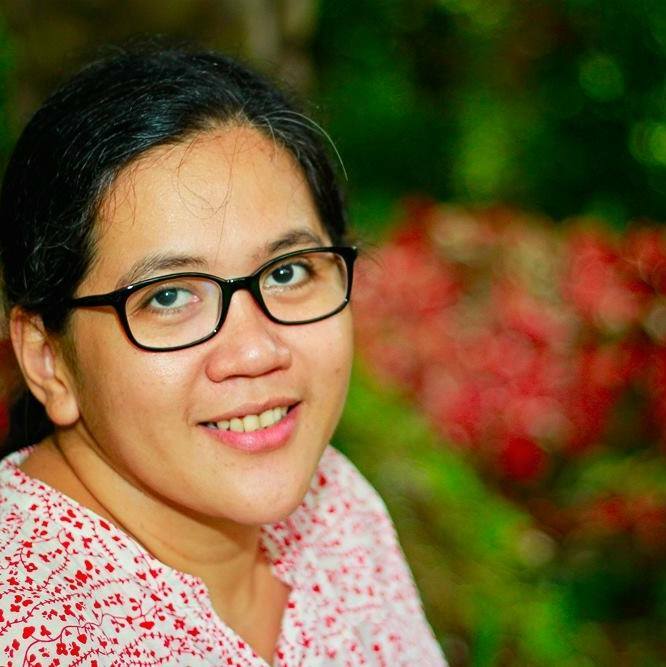 The Facebook groups of Homeschoolers in the Philipppines and ROCKERS Philippines always strengthen our resolve by generously sharing the most inspiring homeschooling resources and advices. I am also thankful to TMA Homeschool for opening their yearly parents conference to non-TMA members like us. This is a big help for parents who are thinking about taking their homeschooling journey to the next level. This conference will also give us the chance to personally meet and hear our homeschooling friends since we only get to see and chat with them in our FB group pages and their websites. 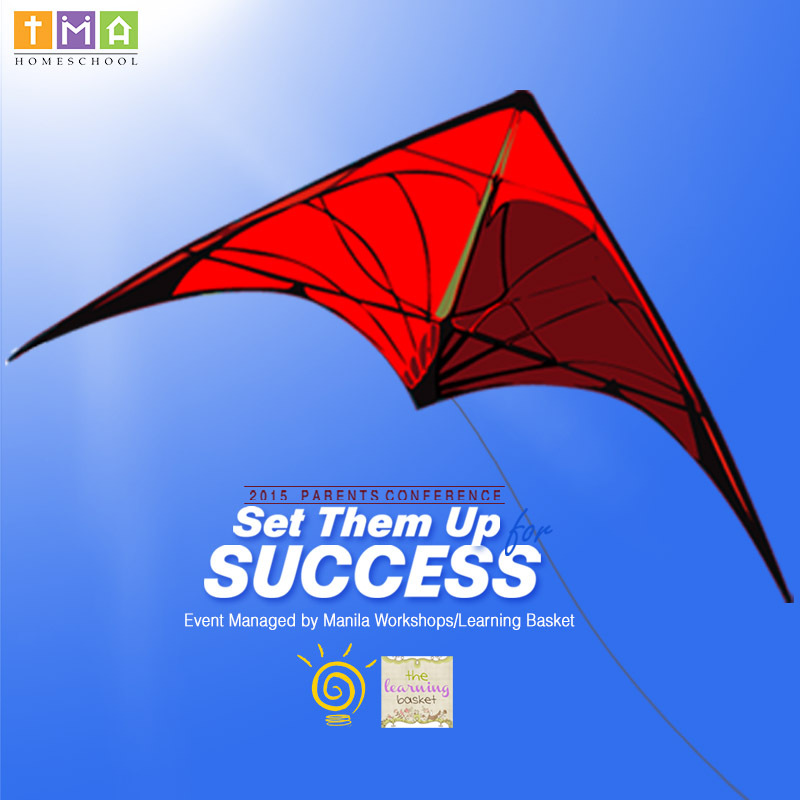 TMA Homeschool, in coordination with Manila Workshops and The Learning Basket, is proud to present its Parents Conference for 2015, entitled Set Them Up For Success. It will be held at the Bayanihan Arts and Events Center from 8AM for registration (program starts at 9:00) to 5:00PM. at the Bayanihan Center, Unilab on March 12. Nanays and Tatays what are you waiting for? Visit Manila Workshops or click here to register for this parenting and learning event of the year . Kitakits on March 12 and let's share some homeschooling and parent chat during workshop breaks! Wait! Nanay’s Trip is giving away one (1) free seat (Thanks to TMA Homeschool, The Learning Basket and Manila Workshops!) to this event to one of its dear readers. Homeschooling shirts and tote bags from Maestro Rio Shop will be given away too (View the shirts and bags here)! Winners will be announced on March 10. Please leave a comment below on why do you want to attend TMA Homeschool's Parent Conference. Don't forget to write your e-mail address :-) Good luck and see you there! I have a plan to homeschool my bunso (5 years old)... She will graduate in Preparatory this month and I have this feeling that she's a bit small for grade one. I'm considering to homeschool her. Thank you for the info! Both my boys are in trad school, I am a full time office mom, so even if I wanted to.. I really can't! Happy for parents who get the chance to homeschool their precious kiddos 😃! I have expressed my wish to my husband to homeschool our son and have started with homemade worksheets, flashcards and read-aloud books. I am happy that the homeschooling community here in our country is growing and that there are plenty of groups and homeschooling parents who share advice, tips and resources generously. I would really want to join these conferences. If only they were held here in Cebu as well. I admire those parents who decided to homeschool their children. It takes a lot of courage and dedication! Yes, pupunta ako sa conference. I hope to see you there. :) May one year na ang logo ng Nanay's Trip na ginawa mo :) Thanks uli! Hindi na train ang favorite toy ng anak ko. Palitan na natin ang train sa logo ng... monster trucks! He he. Kitakits. That's so true. Communities really make a difference. Homeschooling has now become collective effort and not just a family endeavor. Update mo ko sa homeschooling journey niyo ha. Good luck and kitakits soon. Thanks Lanie! Dami ring homeschoolers sa MBP. Saya! Malay mo, Pam. They may hold a conference in Cebu soon. :-) I'm sure a lot of parents who blog will write an article about the conference. Sana ako rin makapagblog ng mga matututunan ko sa conference na ito. Napakahalaga din ng pagtutulungan ng mga homeschooling parents sa isa't isa. Salamat sa pagbabasa, Mayu! Sayang talaga, I won't be able to join this since it is on a weekday. I'm really so jealous of everyone who gets to attend this. I'm excited to be a homeschooling mom in a few years; I hope you can share your learning. I'm totally in awe of parents who homeschool their kids. I do not have the patience for it. This Parents Conference will surely be a big help for those planning to homeschool their kids or have already started their homeschooling journey. Di pa ba kayo nagsisimulang mag-homeschooling? :-) Yes, I'll try to blog about the conference, asap. Hehe. Salamat talaga sa mga organizers! Super helpful ang mga conferences na ganito. Great opportunity din to meet other homeschooling families. Test of patience and creativity din, hehe! Preschoolers like my son gets bored so easily. Kailangan bago lagi o kaya naman always stick to their interests. Monster trucks sa alphabet, numbers, arts, etc. Hehe. Salamat sa generous and helpful homeschooling community at hindi ka mawawalan ng ideas. I'm sure everyone enjoyed the discussions. I attended TMA Orientation and we are deciding on the perfect timing.